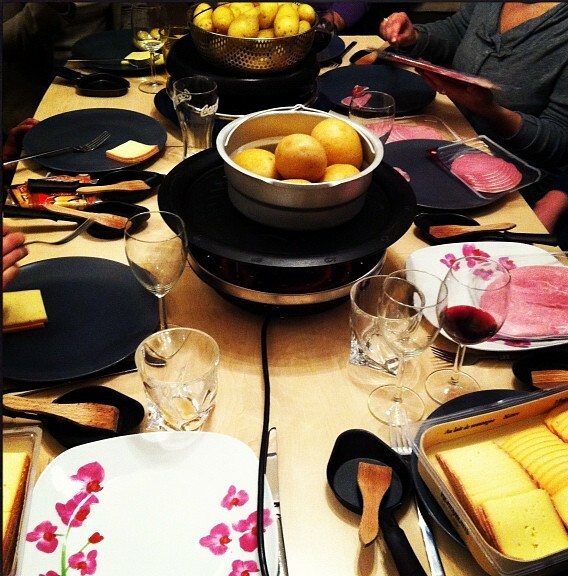 The Raclette tradition has been around for hundreds of years. It hails from Switzerland, where workers and shepherds used to come back home with a lot of cold in their bones and used to sit around a fire where they melted cheese and poured it over their food. Nowadays, the process has changed drastically, and that’s all thanks to the many technological advances that have occurred over the years. But raclette remains one of the most popular types of dishes in Switzerland and other countries, too. Let’s see what makes it so special. The neatest thing about having your friends and family gathered around a table where there’s a raclette grill is that they get to cook their own food. What this means for you is that you will spend far less time in the kitchen than you would normally. Of course, there are several ingredients that need to be pre-cooked such as potatoes, which can’t possibly be baked or fried properly on a raclette grill. However, aside from cutting all of the ingredients so that they are all neatly prepared, you don’t have to do all that much in the way of preparing food per se. How does such a grill work? Most raclette grills, including some products from here, are made of just a couple of components. Usually, there’s a top surface where you and your other guests are going to place the foods that need cooking. Typically, this top is made of granite, stone, or a non-stick material like Teflon. Under the cooking surface, you’ll find a variable number of little pans where you can place a variety of cheeses to be melted by the heat of the appliance. These you’re going to pour over your food once everything is done and ready. So, you see, there’s not all that much to say about the actual design of the appliance — there isn’t anything all that complex about it. While back in the day, Swiss shepherds used the fire from a hearth to melt the cheese, now you don’t have to go through all that. Fortunately, raclette grills are electric, which means that they are far safer to use than open fires. Nevertheless, if there are little children joining the meal, too, you have to make sure that you explain to their parents that they should not touch the cooking surfaces or the pans with bare fingers. As for ease of use, the machine is pretty straightforward. You literally don’t have to do all that much other than place the food you want to eat on the top and then maybe turn it on the other side once in a while. Cleaning can be done very conveniently as many manufacturing brands go to extreme lengths to ensure that their appliances come with non-stick surfaces and are traditionally made of several dishwasher-safe components.